Posted in: 1 Pageant Pages, 2 Shout-out-Looks. Tagged: Imelda Schweighart, Kagandahang Flores, KF, Kiara Giel Gregorio, Melanie Mader, Rodgil Flores. 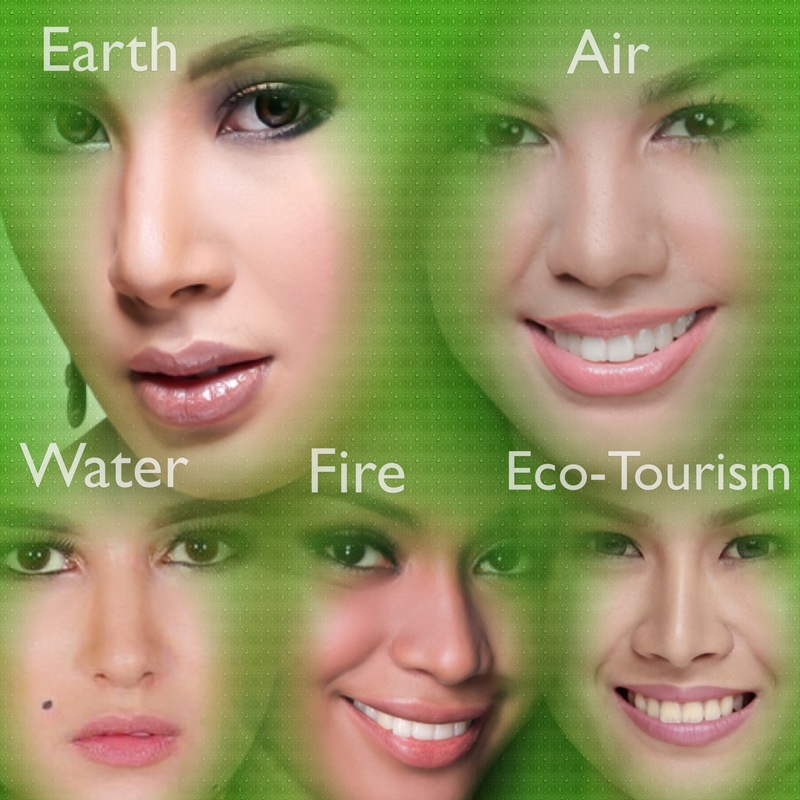 Congratulations are in order for Rodgil Flores and his KF beauty camp for successfully retaining the Miss Philippines Earth crown via the sweet victory of Puerto Princesa City’s Imelda Schweighart, while nailing two more places in the Top 5 with Kiara Giel Gregorio of London getting Air and Melanie Mader of Vienna completing the magic circle as Eco-Tourism. 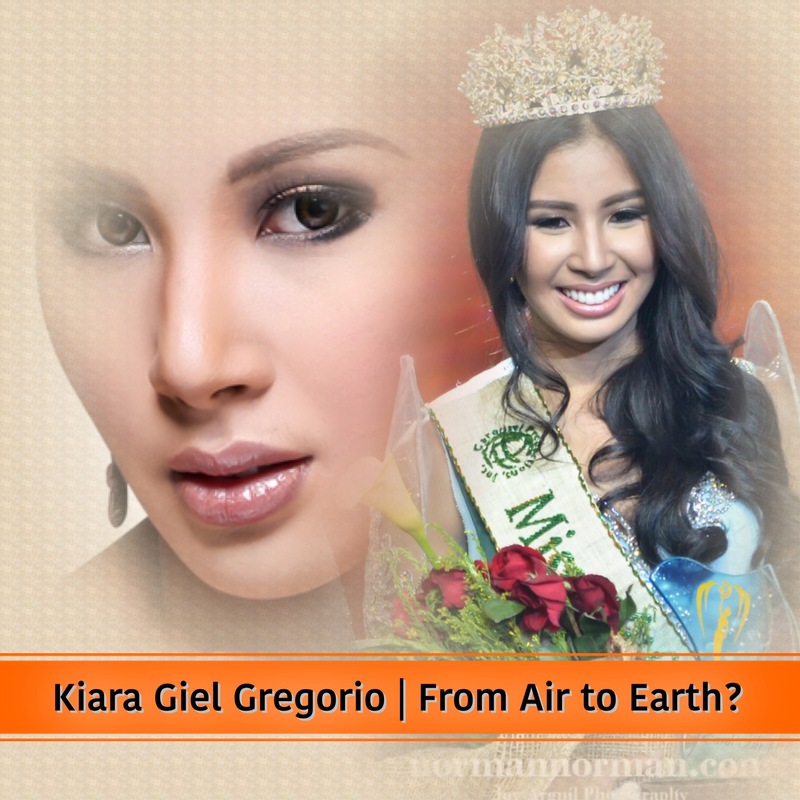 It’s no secret in pageant circles that the annual Miss Philippines Earth is what you can call the solid turf of Kagandahang Flores (or KF if you will). A big majority of its winners since 2001 are products of the group. And any other individuals sending in candidates are lucky to get their ladies placed – like this year’s Miss Philippines Water Loren Mar Artajos who comes from the Queen B of Designer Bing Cristobal and Miss Philippines Fire Shannon Bridgman courtesy of Jontie Martinez. 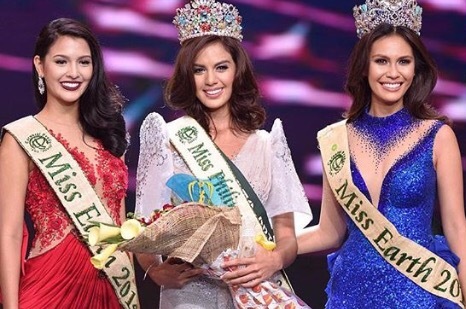 And methinks KF’s stronghold in this environmental pageant will continue for more years to come, just like Miss World Philippines is perceived as leaning towards Aces & Queens. Of course, Bb. Pilipinas will always be fair game to all camps – big or small. Posted in: 1 Pageant Pages, 2 Shout-out-Looks. 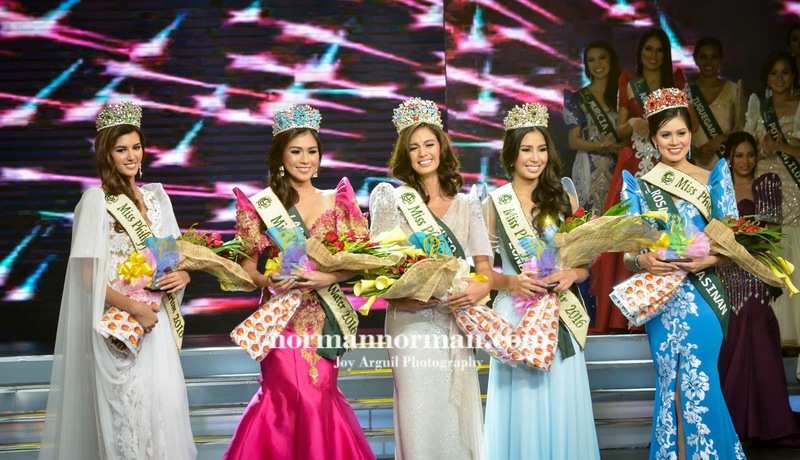 Tagged: Imelda Schweighart, Kiara Giel Gregorio, Loren Artajos, Melanie Mader, Miss Earth 2016, Miss Philippines Earth 2016, Shannon Bridgman. 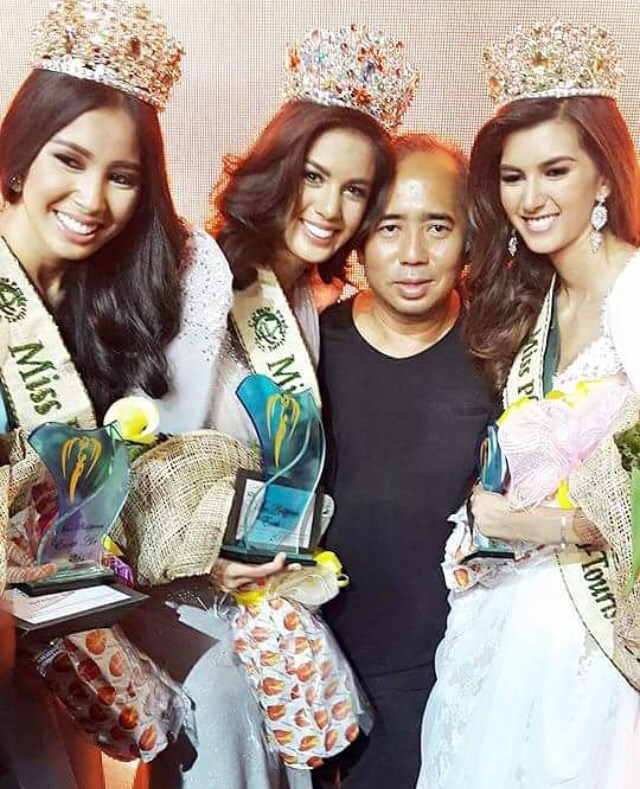 Imelda Schweighart of Puerto Princesa City won Miss Philippines Earth 2016 after edging out her closest pursuer Miss Philippines Air Kiara Giel Gregorio of London and surprise Miss Philippines Water finisher Loren Mar Artajos of Laoag City. Shannon Bridgman of Rosales, Pangasinan claimed Miss Philippines Fire, with Melanie Mader of Vienna getting Miss Philippines Eco-Tourism. Going into the Top 12 (only for this edition in connection with the June 12 Independence Day celebrations), the semifinalists were subjected to a unique “Earth Talk” interview where the ladies picked a “popular hashtag” in a container and expounded on the same. It was here where both Schweighart and Gregorio performed in relatively middling fashion as they were required to explain words that were less than impressive. Artajos gave the most solid reply that sealed her Top 5 placement. But when the Final Q&A got underway during Top 5, the strong favorites really delivered and the judges’ choice on who to succeed Angelia Ong landed on the head of Schweighart. Artajos also gave a remarkable answer but somehow, she was already outweighed by the two ladies ahead of her in terms of cumulative performance in swimsuit, Filipiniana gown and all. 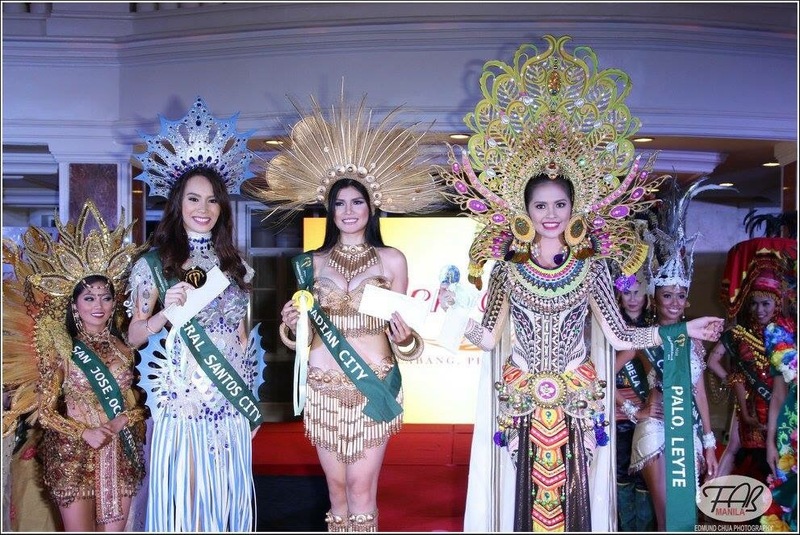 Imelda Schweighart will now represent the country in Miss Earth 2016 which – according to reports – might be hosted in Macau. 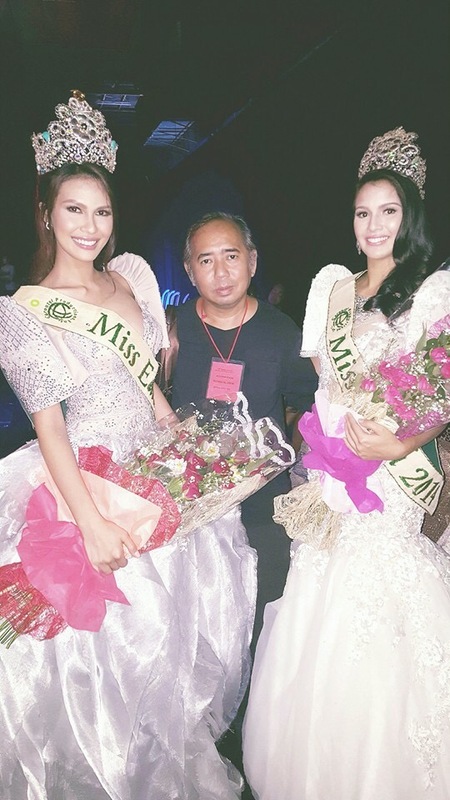 For the special awards handed out last night, Gregorio was named Miss Hana Shampoo, with Eva Reinoso of Alaminos, Pangasinan getting Miss SM Markets. Jan Abejero of Quezon City was named Best Eco Beauty Video with Krissandra Abel of Lobo, Batangas as Eco-Warrior. Watch Schweighart’s winning Top 5 reply below. MPE2016: Who will Mother Earth bless? Posted in: 1 Pageant Pages, 2 Shout-out-Looks. Tagged: Ellyz Santos, Imelda Schweighart, Kiara Giel Gregorio, Loren Mar Artajos, Melanie Mader, Miss Philippines Earth 2016, Niña Sherra Tagalog, Shannon Bridgman, Tim Alsowyed. This coming Saturday night at the UP Theater in Diliman, the winners of Miss Philippines Earth 2016 will be crowned. And having reviewed the performances of each of the forty-seven (47) candidates, I applied my personal gut-feel for each one of them. By now, the real front-runners have emerged, and it will take a combination of good luck and excellent Q&A to finally nail the #1 spot and become the national successor of Miss Earth 2015 Angelia Ong. Jessica Zevenbergen of Murcia, Negros Occ. Truthfully, the upper tier of my Top 10 could already be a foregone conclusion in the sense that I can already tell who would be locks for the all-important placements. Keep in mind that the lower tier during the actual finals are already assured of runner-up positions. Hence, five winners and five runners-up. Some of you might wonder why Ellyz Santos of Laoang suddenly jumped to the upper 5 and may possibly do better than a runner-up ranking. I just feel that she has a special quality in her that could be looked at by the judges and organizers as advantageous for a more long-term elemental affiliation. While the battle for the crown is fierce between Kiara Giel Gregorio of London and Imelda Schweighart of Puerto Princesa City, I am strongly leaning on the former taking the spot after the announcement of winners. Kiara ticks all the required boxes in my opinion. I can see her as the next-in-line for Angelia Ong, but with a soft British accent for a change. She has also the charisma to win people over, on top of showing an all-around pleasant personality and an articulate self. But I’m not closing my doors on an Imelda Schweighart win yet. She could also get the nod of the decision-makers in the end. She is gorgeous and can express herself very well. I simply wanted to make a choice between the two. As for the rest, I am giving Water to Melanie Mader, Fire to Fatima Alsowyed and Eco-Tourism to Ellyz Santos. Regardless of the outcome on June 11, these ladies have made big strides in advocating for Mother Earth. And with the added upgrade to Climate Change Adaptation in their causes, Miss Philippines Earth has really become a most significant player in the national and international pageant scene. Posted in: 1 Pageant Pages, 2 Shout-out-Looks. 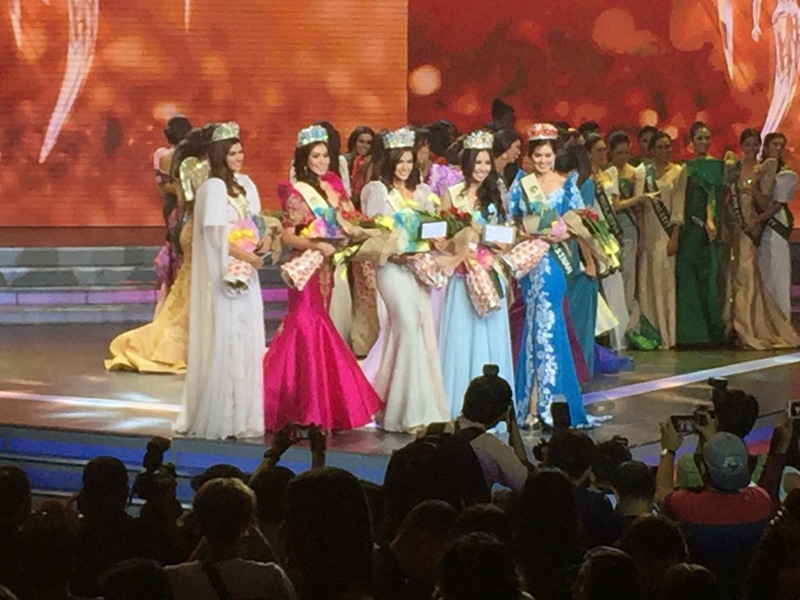 Tagged: Cristelle Suizo, Imelda Schweighart, Kiara Giel Gregorio, Melanie Mader, Miss Philippines Earth 2016, Niña Sherra Tagalog, Versailles Alabang. Twin competitions were completed yesterday afternoon-till-evening at Versailles Alabang for Miss Philippines Earth 2015. First on the list were swimsuits as the candidates paraded themselves in their sexiest two-piece numbers much to the delight of members of the Press and the judges. Then came the Cultural Costumes where each one of them came out garbed in the most lavish traditional attires representing either the national or regional styles they represent. In the first part, Kiara Giel Gregorio of London successfully claimed Gold, followed by Imelda Schweighart of Puerto Princesa City and Melanie Mader of Austria – the perennial medal-earners so far. In the cultural costumes, Kristelle Suizo of Pagadian City topped the competition, with Nuña Sherra Tagalog of Palo, Leyte and Jezza Mae Lim of General Santos City settling for Silver and Bronze. By now, the cast for the semifinals is shaping up nicely. Let’s see if these ladies will sustain the momentum till June 11 at the Aguinaldo Shrine in Kawit, Cavite.